The Agri-Cultural Festival took place on September 9. City vs. rusticity, urbanism or nature? The Agri-Cultural Festival poses a different question: why not have both? 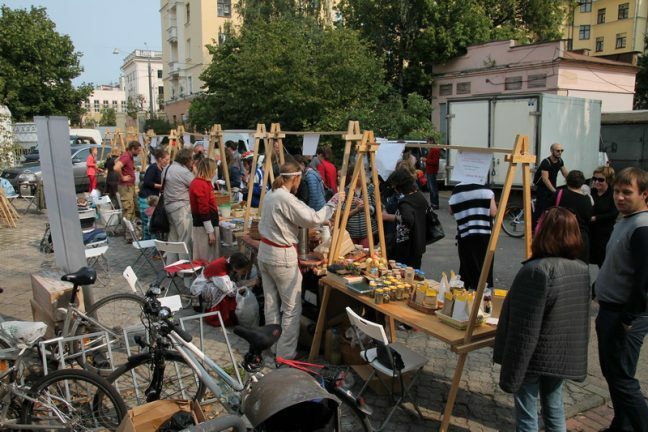 The idea of showing the links between contemporary art and agriculture came upon the “Ў” Contemporary Art Gallery, “EcoHome” and the “Agro-Eco-Culture, and emerged into a six-year long tradition of holding environmental plain airs, exhibitions and festivals. Why is organic farming so important? What is so special about this issue? Organic, or sustainable agriculture requires a creative and sound approach from the farmers’ side, says Lana Semenas, Chairperson of the Board of the “Agro-Eco-Culture”. Thereby farmers shift from mere production to creative activity, and they have to approach their work in a creative manner. Another core aspect is that at the moment agriculture is one of the main sources of environmental pollution. Surprising as it may seem, as agriculture uses solar energy mostly, which is then transformed into food by the plants. Organic farming does not simply mitigate this negative impact on the environment, it also allows to restore environmental systems and bring them closer to natural cycles increasing their sustainability. At the moment Belarus has around 20 farmers certified accordingly EU organic farming standards, and even more agricultural facilities are in transition: they apply organic farming methods, but will be certified in a year or two. Organic farming is beneficial not only for the nature, but for the people, too: neither pesticides nor other substances that can put health at risk are found in organic farming products. 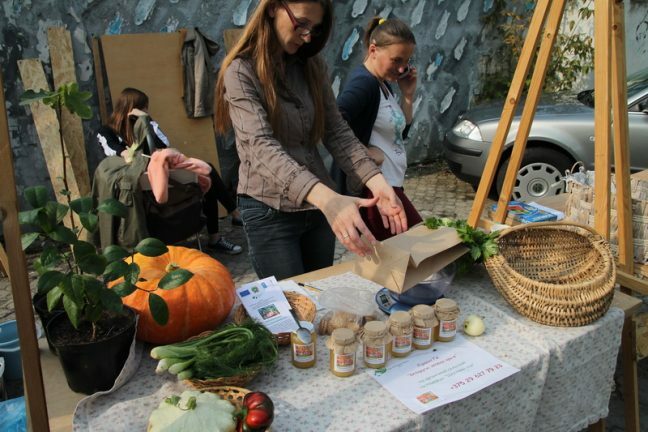 These very products were offered to visitors of the farming mini-fair hosted by the Festival, and they obviously enjoyed great attention and demand. 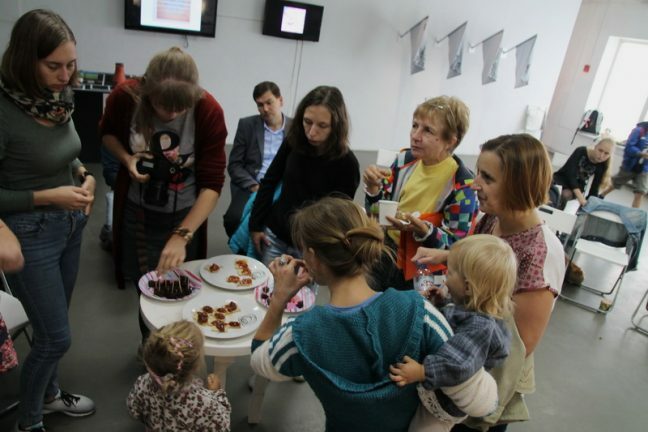 Visitors could also taste products from a school vegetable garden: participants of the “Shkolny sad” (“School garden”) project are learning to run it in line with organic farming principles. 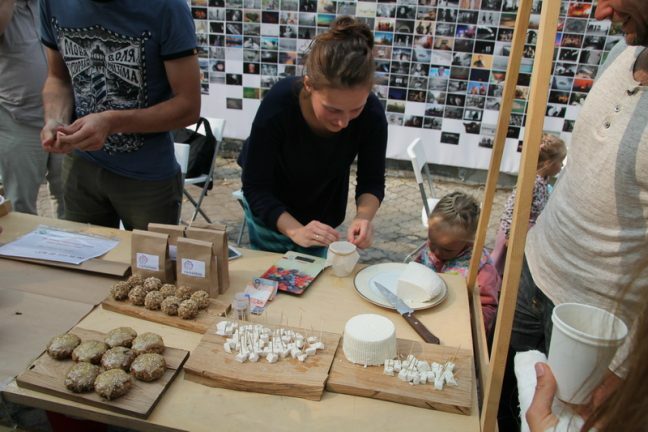 What do organic farming and contemporary art have in common? The Agri-Cultural Festival is always accompanied by an exhibition, which results from a traditional ecological plain air. 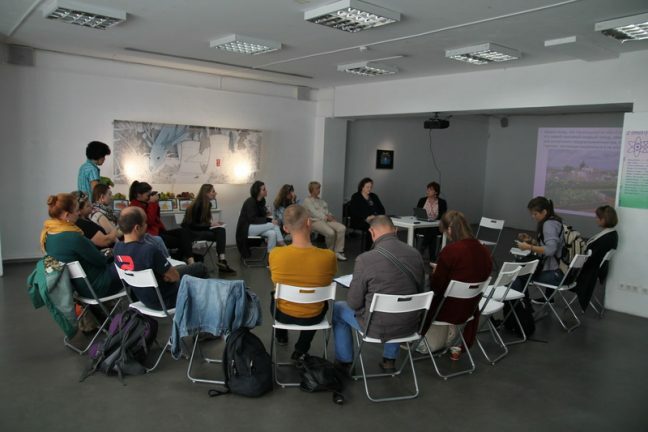 This year it gathered not only artists, but also architects and urbanists: together they dwelled on the future if the Belarusian Nuclear Power Plant. 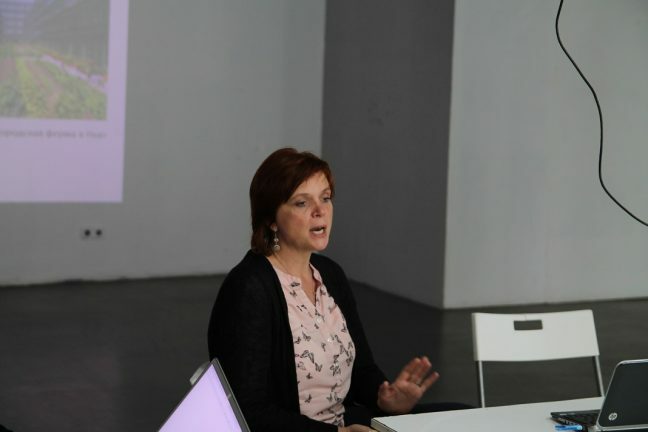 According to Sofia Sadovskaya, art expert, the contemporary art does not operate with the concept of beauty; it deals with pressing and even sore issues. 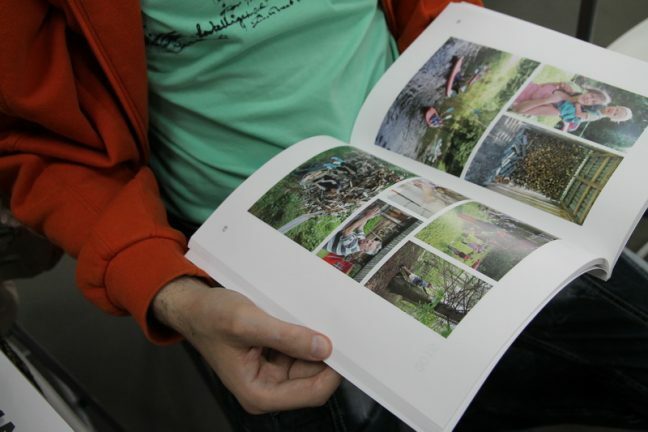 Projects of that kind establish a platform for communication: artists understand the processes going on in the environmental sphere, and thus can create relevant pieces. The APP issue received so much media attention that people simply got used to it, and it is not a burning one anymore. 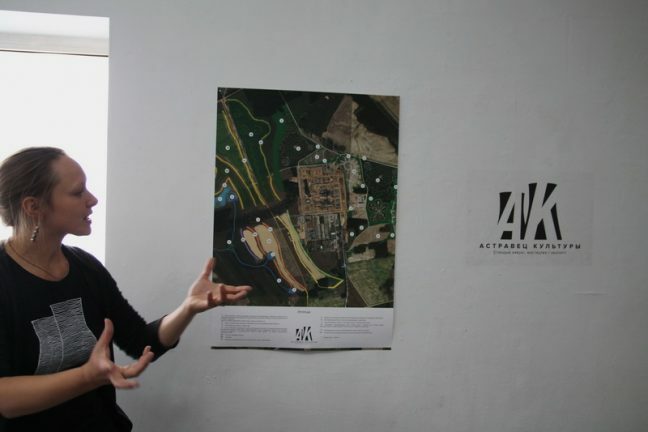 Artists found a new approach dealing with creation of a new reality, where the APP can host a Center for Science, Culture and Ecology, surrounded by a territory designed in line with permaculture principles. 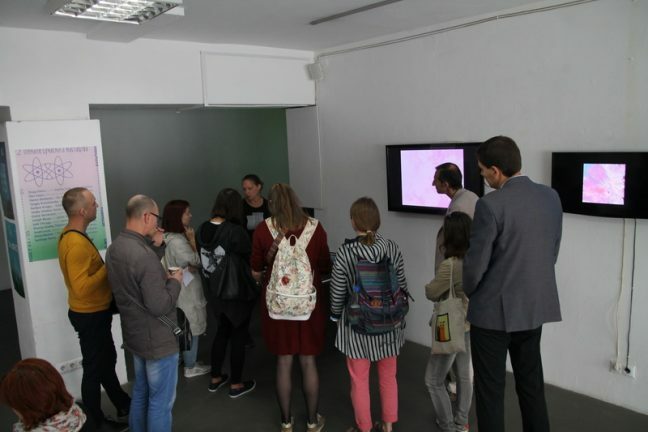 A respective project was prepared by Lana Semenas and Olga Shcheglinskaya. 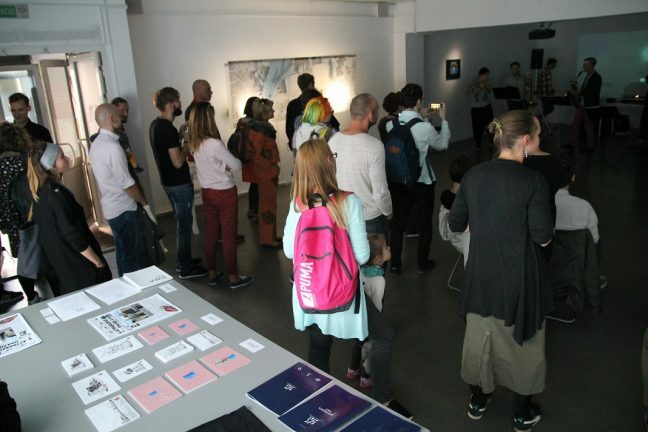 The Festival featured a presentation of the EVAA Project catalogue highlighting the outcomes of six years of plain airs and exhibitions. People tend to grow more and more of food by themselves in the balconies, on the windowsills and in urban spaces. 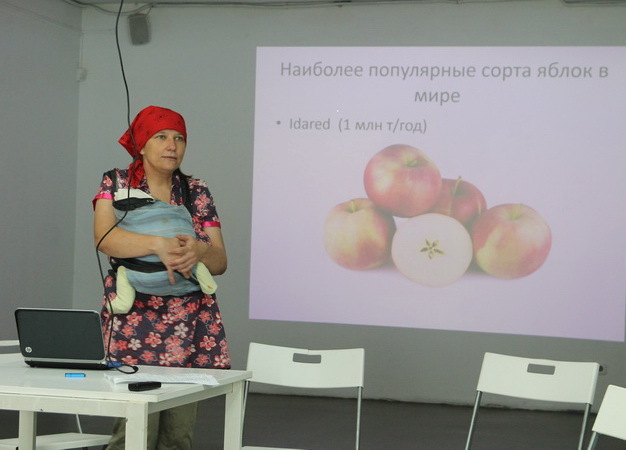 Anna Skrygan, Associate Professor at the Health and Safety Department of the Belarusian-Russian University, Ph.D. in geography, told about various kinds of urban fruit and vegetable gardens around the world. They contribute to reducing transportation costs (and thus decrease the negative impact on the environment) and provide urban dwellers with fresh food products according to the season. 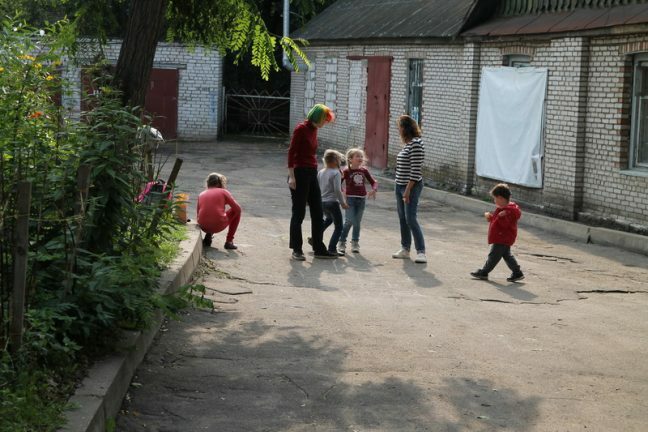 Interestingly, in many European countries urban dwellers are ready to pay for an opportunity to come to a common vegetable garden and grow their veggies, however, in post-soviet countries these connections with land are still strong and many people have dachas of their own. Another peculiar aspect derives from the study of quality of food grown that way. To reduce health risks food should be grown in clean soil, which should be replaced once in several years, fruit and vegetables should be washed properly and peeled thoroughly. Nevertheless, the expert believes that growing food products in an urban environment is safe. 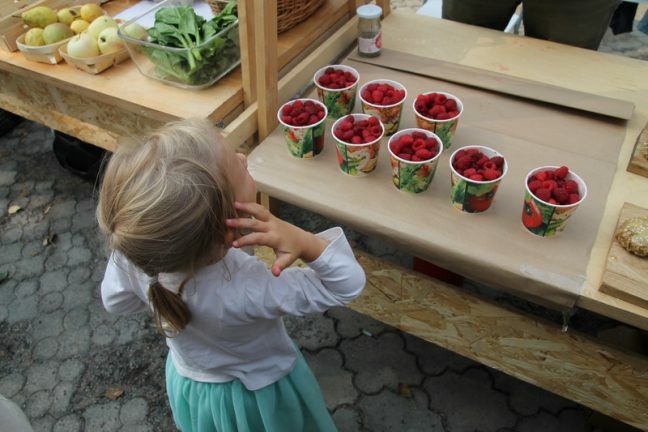 Urban vegetable and fruit gardens already exist in Belarus. 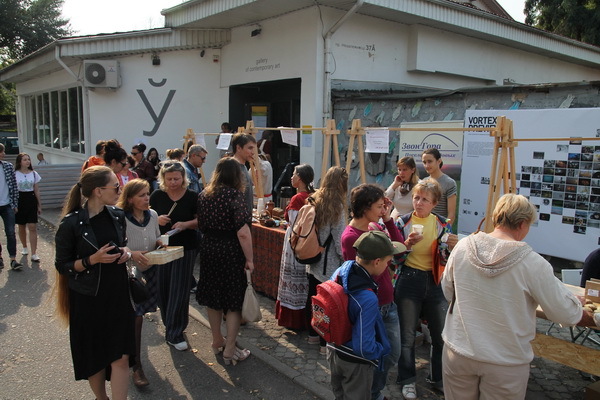 In Borisov urban activists turned the foundation of an old building into a vegetable garden and, as a result of that, locals and their children gathered rich crops of various vegetables and improved their communication. The vegetable garden itself looks just as well as the well-known Princessinengarten in Berlin. Segey, an activist and supporter of this initiative, told us. 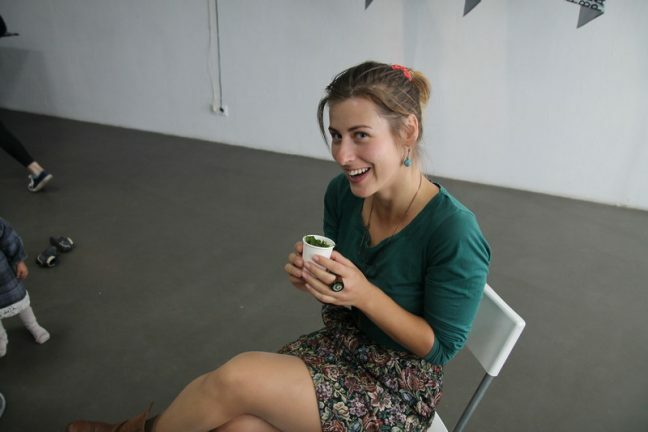 In Minsk Marya Grits experimented with a vegetable garden in her balcony and shared her experience. 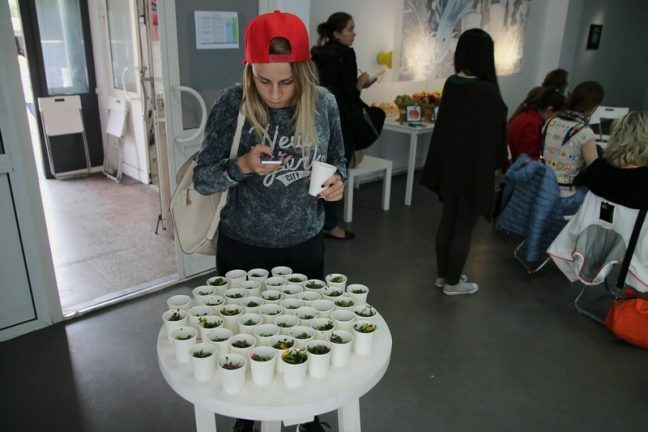 Irina Belaya also brought in her long-standing experience of growing vegetables in the balcony. 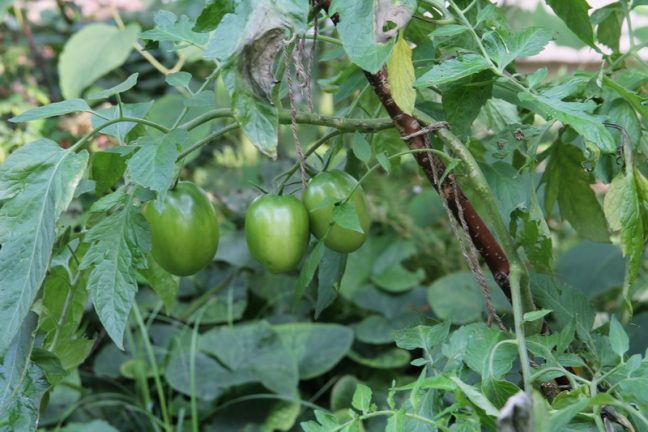 In the meantime, tomatoes are ripening in the backyard of the Gallery, which has a small urban vegetable garden of its own. From urban vegetable gardens the talk shifted to wild plants. Undoubtedly, food can be home-grown, but can one find it in wildlife conditions? 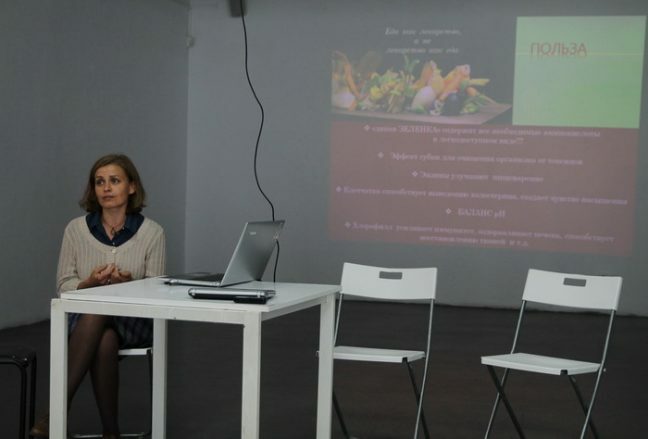 Tatiana Dubkova, an owner of a permacultural farm, shared her insights: wild herbs are edible! On top of making the diet more varied, it benefits the organism: herbs are a source of vitamins and amino acids, and they help improve digestion. Key to that is to gather the right herbs (and be able to tell poisonous from non-poisonous ones) without any signs of disease, in clean places, and not to touch plants Red Book species and plants that are not widespread in this area. Dishes that can be cooked using herbs include salads (visitors could even taste one of those), juices and green cocktails; plants can also be used as spices and added to soups, pies and even desserts! Apples became another peculiar topic of this festival. 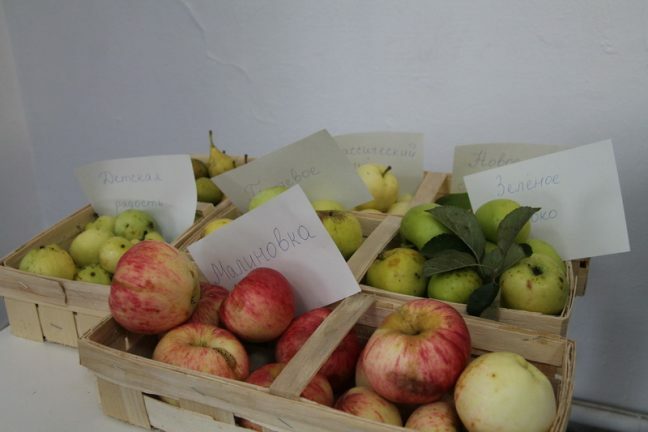 Julia Vinokurova-Labunskaya told about the importance of preserving old apple cultivars. More than 90% of apples sold in the worlds mass market belong to three cultivars, although there are more than 10 000 of them. Preservation and spreading heirloom apple cultivars is core to supporting biodiversity and sustainability of ecosystems to climate change, and they are a part of cultural heritage. Besides, they do taste good, which the Festival’s guests could check out for themselves. 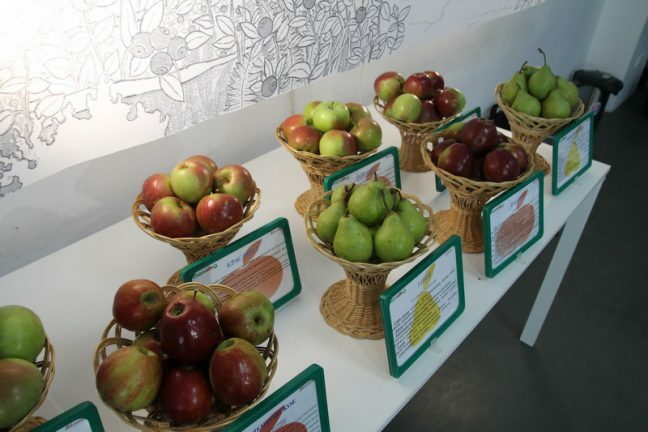 They tasted fresh apples and pears, apple cheese, marmalade and jam. 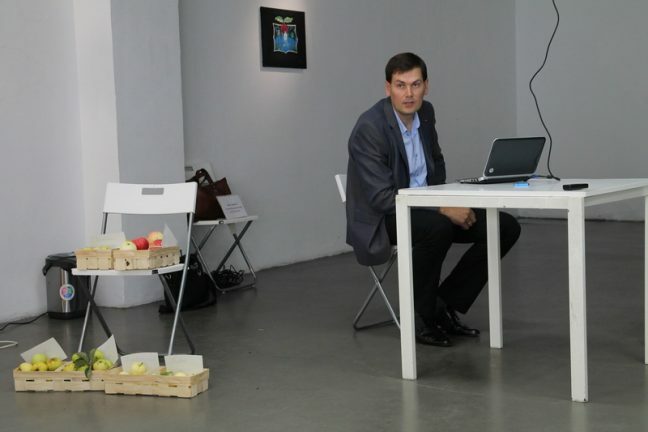 The scientific aspects of growing apples and new cultivars produced in Belarus were presented by S.A. Yarmolich, Ph.D. in agriculture, Lead Researcher at the “Institute for Fruit Growing”. 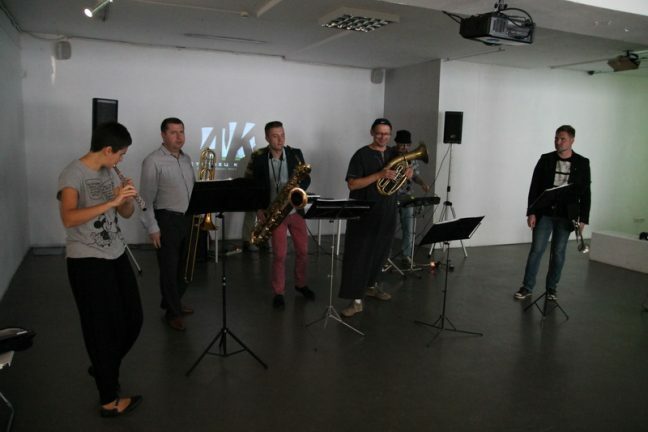 It was not by chance that the Festival came to exist, says Maksim Zhbankou, culture expert and a participant of the public jam production initiative “Try Morkauki” (Three Carrots). “It is a response to the faults of urban life, – says the expert. – We know nothing about the quality and origin of products that are available in supermarkets, while we do need an organic compensation for the pollution we are exposed to in urban conditions. I do not know whether these products are really useful. However, they look nice and taste good. I look into the faces of their producers, and a kind of magic can happen between us, and that will make me buy the product, as it comes as a result of a contact. Everything we call “eco-friendly” first and foremost deals with attempts to find new sociality, new attitudes to private initiatives and small local affairs. You can wait for 30 years for another revolution to happen, or you can produce something and offer it to people. That’s what we are going to do now. My wife produces onion marmalade and jam from tomatoes and peppers. What is happening here is a universal celebration of life. We witness a quiet environmental revolution: our consciousness starts following environmental pathways, and it turns out that one can be happy regardless of political trends, financial support and crowd funding”. During the Festival volunteers took care of the kids. 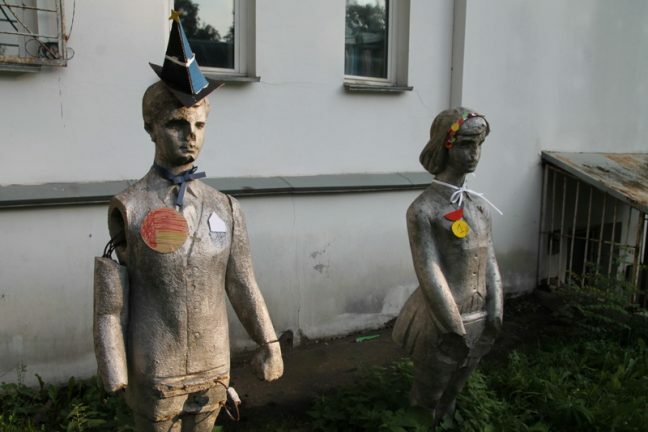 They remembered good old games played in the yard, studied nature in the backyard and made their own contribution to contemporary art: they created collages from old magazines. So, there was another eco-plain air! The Festival was closed by a concert by Klaxons Brass. The wind band invited guests to dance, choose their favorite apple species and discuss new recipes making the event a true small urban harvest festival.